A quick and complete solution for your next outdoor party. Versatile enough to be used everyday and durable enough for use by the pool. 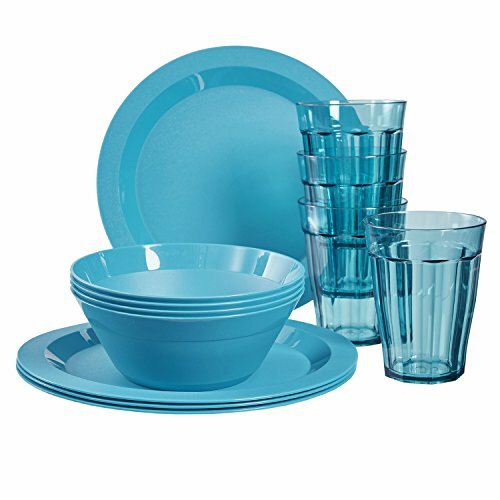 The perfect break-resistant dinnerware set for the new college student or first apartment. These bowls, plates and cups are a great addition to any new kitchen. A step up from disposable dinnerware, they are also great for the patio or picnic. Set of 12 includes (4) 12 ounce cups, (4) 6-1/2" bowls, and (4) 10" plates. Top rack dishwasher safe. Made in USA.